Today, I present you what I think are the best of my first 180 stereo photographs. All images shown here are made with a simple compact camera without any further equipment, using the so-called cha-cha method. It means taking two consecutive photos from slightly different positions. I recommend to set your preferred view below the first image and to reload the page by pressing F5. You can also view the album on Phereo. This post helps you to calibrate your homemade weighing scale and creates a printable readout scale that you can glue onto the device. The post will guide you through the entire calibration process, establish a functional relation between mass and indicator position (the process is termed regression), and lets you configure the appearance of the scale. Finally, you obtain a file that you can print on a black/white printer. To allow you reading through the page and trying out the tools without doing the calibration, I provide example data from my prototype weighing scale. 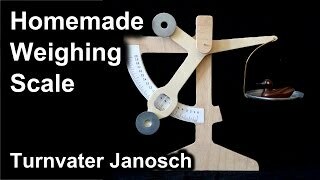 This post provides a tutorial and plans for a homemade weighing scale, similar to a classical letter scale. You obtain a scale that you can easily adjust to have the range of your needs, be it for only 20 grams like my prototype shown on the left, or for 100 or 200 grams. The video below demonstrates usage and accuracy of the prototype. Time for another plans post! 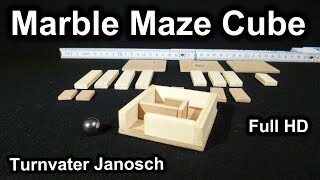 Here is a construction manual with plans for a very simple version of my marble maze cube. The idea is a three-dimensional, hidden maze through which one has to guide a marble or steel ball. This cube contains one of the most simple mazes possible, where each "floor" can be solved alone to get to the next one. More complicated versions contain more changes between the floors. Be sure to watch the time-lapse video of the simple construction process below before reading the manual! A 3D stereoscopic version of the video is available here. 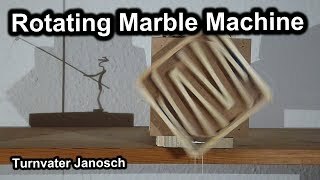 Marble maze cube, time-lapse of construction. Celebrating one year and 500 subscribers on YouTube, here are some ASCII animations. Thanks to all of you for watching my videos! ASCII art is the art of creating graphics using only text characters. It is not just an out-dated technique from the times of text-based computer monitors and communication, but a great way to produce animations with little effort. Be it a simple GIF animation as shown on the left, or a more complex cartoon as in the video below. ASCII Art Cartoon. View in HD for best quality! Have you ever asked yourself how to view all these stereoscopic 3D photographs, films and artwork out there without expensive equipment? Or are you a stereoscopy enthusiast, but your friends cannot view cross-eyed? Made from a CD cover and filled with water, these glasses are a costless, easy to build solution. The viewing experience is very pleasant and the glasses can be used for a wide range of media sizes. I built the goggles following a very comprehensible tutorial on vrtifacts.com. 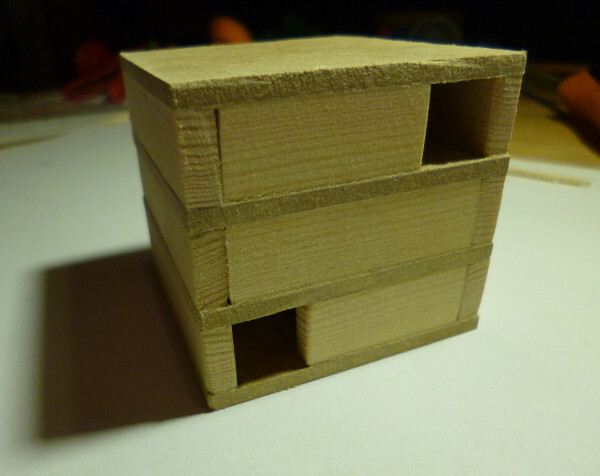 The construction is very simple and doesn't require much more than a CD cover and all-purpose glue. 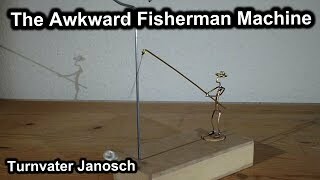 This post provides plans and construction manual for my "Awkward Fisherman Machine". It is a flying pendulum, designed as a fisherman constantly throwing the line onto a tree. Driven by a sinking weight, the sculpture runs for several minutes with its continuously fruitless attempts. Watch a video of the sculpture below. This article comprises plans and a brief construction manual for Hanging Mobile #001, shown on the left. 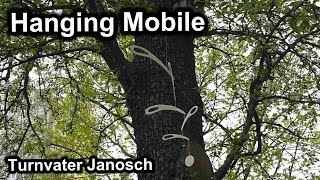 Below, you can watch a video of the harmonic motion of the mobile. The design is inspired by the work of Alexander Calder. 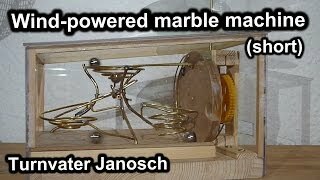 ... to Turnvater Janosch's handcrafting and weird machinery. 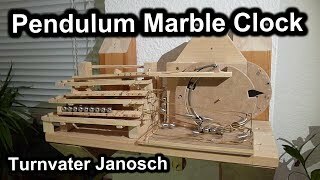 Recent days, the video of my most elaborate project became fairly viral: the Pendulum Marble Clock. In the course of that, I received a lot of requests for plans. So I decided to successively make available plans and construction manuals for the projects that you can watch on my Youtube channel . This blog is the place where you will find them soon. 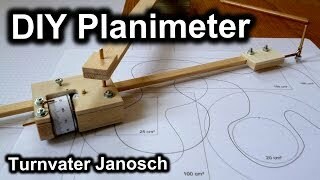 This is the place to find plans and tutorials for the projects shown on Turnvater Janosch's YouTube channel. 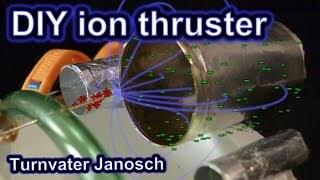 Watch more on Turnvater Janosch's YouTube channel. © Turnvater Janosch. Powered by Blogger.